My new video will be on view in the 15th Anniversary Members Exhibit at the Los Angeles Center for Digital Art from April 11th until June 4th. Check it out if you’re in Los Angeles. 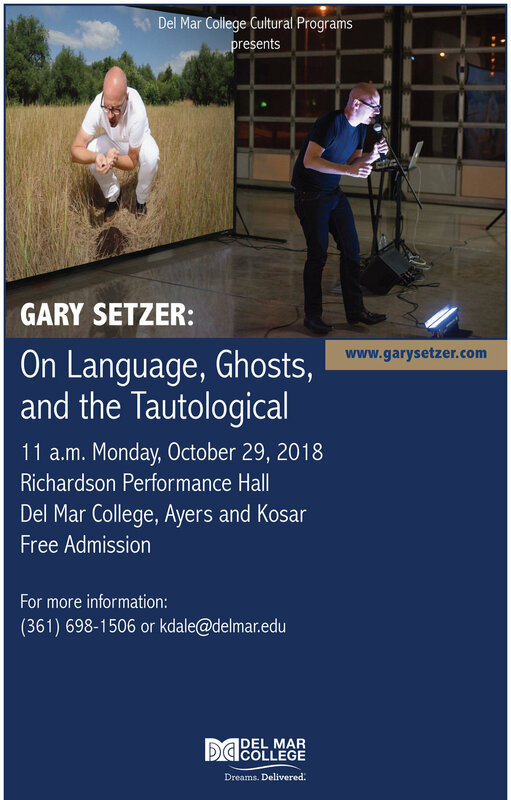 I’m a Visiting Artist at Del Mar College in Corpus Christi, Texas today. My video artwork, Panderer (Seventeen Seconds), will be on view from October 1st through November 18th at the Nagasaki Prefectural Art Museum in Japan. The work will be featured as part The 21st Cultural Affairs Media Arts Festival Winning Works and will be continuously screening on their enormous “Art Vision” monitor and also at selected dates and times indoors. For further information, read here (in Japanese) or here (translated to English). ARS ELECTRONICA opens tomorrow, and my work will be screened there in a special screening of eleven "highly distinctive" works by award winners from the 2018 Japan Media Arts Festival. ARS ELECTRONICA Center, Linz, Austria. Photo credit, Ars Electronica / Robert Bauernhansl. Check out one of my video artworks on view at the Los Angeles Center for Digital Art. The exhibition opens tomorrow night and is on view through June 2. I had the opportunity to have a conversation with artist, professor, and F.A.T.E. President, Valerie Powell, for the current edition of the Positive Space podcast. We talk about my artwork, my process, my teaching, and (of course) nacho cheese. If you know me and my giant mouth, you won't be surprised that I broke the podcast's record for length of the interview. Thanks for the opportunity! Click the image above, or click here, to listen to (or download) the interview. I am excited to announce that I will be receiving a New Face Award this summer at the 21st Japan Media Arts Festival. Additionally, the award-winning works will be exhibited at the National Art Center, Tokyo from June 13 to June 24, 2018. I am honored that the jury selected my work and recognized it with this award, especially considering that there were 4,192 entries from 98 different countries. I will put the award to good use on a new body of work that is currently in development. This is the last week to see my work in the exhibition, Futility, at Aggregate Space Gallery in Oakland, California. It's on view until Saturday. FUTILITY / JANUARY 12TH - FEBRUARY 3RD. I've also got a new work currently on view in the Electron Salon at Los Angeles Center for Digital Art. That exhibition runs until February 8th. 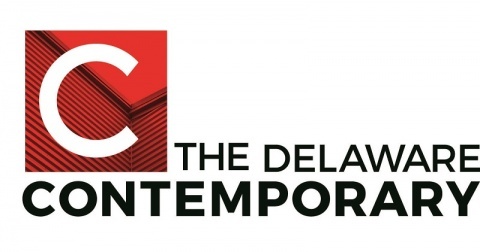 My artwork is included in the video art exhibition, Art as Information at The Delaware Contemporary. The exhibition opened yesterday and is on view through February 2nd, 2018. The opening reception will be held on December 10th, from 1 to 3PM. Argentina bound? Not me, but my artwork will be. I wish I could make the trip. I was notified this week that one of my video art works will be included in the Festival Internacional de Videoarte (FIVA) in Buenos Aires. The festival runs from December 15 to December 17th at the Centro Cultural San Martin. This will be the first time that my work has screened in Argentina. Check it out if you're in the Beunos Aires area. I'm pleased to announce that my work will be included in ART NOVA 100 at the Today Art Museum in Beijing, China. Check it out if you're in the area. On view from August 1 to August 15, 2017. Opening Ceremony on August 5 at 3 PM. 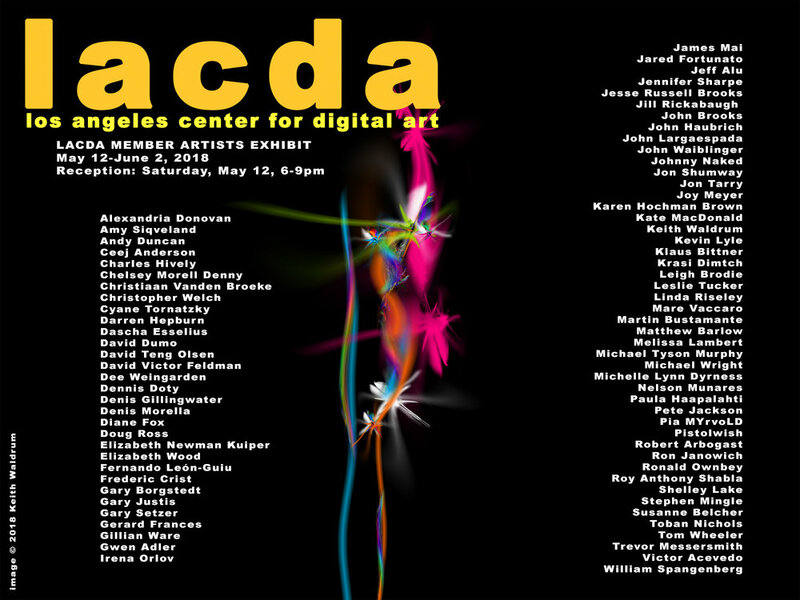 Be sure to stop by the Los Angeles Center for Digital Art if you're in LA this summer. I have work in their current Electron Salon. On view from July 13 until August 10th. Please join me at the Tucson Museum of Art on the evening of May 4th. Admission is free between 5PM and 8PM and I'll be performing somewhere in the neighborhood of 6:30. Additionally, as part of the Museum's TMA Handmade series, the TMA invited me to select some work from their permanent collection for display. I chose some beautiful Josef Albers silkscreen prints from the Formulation: Articulation Portfolio from 1972 that have never been exhibited at the Museum before. They're delightfully crisp and 100% Bauhaus-licious. They're on view as of today. I'll be headed to Italy soon, with just enough time to attend the opening ceremony of the Arte Laguna Prize Finalist Exhibition in Venice at the Arsenale. "The Arte Laguna Prize is exhibiting 125 works from around the world, the finalists of the eleventh edition of the contest, which give us a glimpse into the current state of international contemporary art. The exhibition is curated by Igor Zanti with the collaboration of ten international jurors who assessed and selected all the applicants... Flavio Arensi, Tamara Chalabi, Paolo Colombo, Suad Garayeva, Ilaria Gianni, Emanuele Montibeller, Salvador Nadales, Fatos Ustek, Alma Zevi and Nav Haq." Take the Water-bus, 5.2 Line, and get off at the Celestia Stop. Then I'll be back on a plane on my way back to the (unfortunately much less moisture-laden) desert of Tucson. If you're nearby, come and join the festivities. Last night was the opening for BODY LANGUAGE: FIGURATION IN MODERN AND CONTEMPORARY ART at the Tucson Museum of Art curated by the Tucson Museum of Art's Chief Curator, Julie Sasse. Check out this show if you're floating through Tucson. It is surreal and humbling to have my work exhibited alongside masters like Goya, Andy Warhol, Pablo Picasso, Max Ernst, Miriam Schapiro, George Segal, Robert Colescott, Roberto Matta, Luis Jimenez, and Dennis Oppenheim. Also a bonus to share the walls with the work of my friends Craig Cully, Joe Labate, Alfred Quiroz, Andy Polk, Larry Gipe, and Peggy Doogan. Body Language: Figuration in Modern and Contemporary Art will be on view until July 9, 2017. I’m thrilled to announce that I am a finalist for the 2017 Arte Laguna Prize. My work will be exhibited at the Arsenale in Venice from March 25th until April 9th. I am traveling now, so the announcement had been sitting in my inbox and I didn’t even know it. Whether I take home a prize or not, I am flattered to have been selected. I'll know more later and will keep you updated. You can see all of the finalists here. Buy a Digital Album and Support the American Civil Liberties Union Today. BandCamp announced that all of their proceeds today will be donated to the ACLU. If you buy my performance soundtrack, Supralingual/Sublingual: The Tongue is the Terrain today on BandCamp, I will also donate my profits to the ACLU. Donating to the ACLU is more important than ever. Plus, ultra-slick album art by artist/designer extraordinaire, UPSO. Get the album on BandCamp here! If you're in New York for the Video Art and Experimental Film Festival at the Tribeca Film Center keep your eyes open for my work. The festival runs from November 10th through the 12th. I have a new work included in the exhibition, Artist Statement, opening tomorrow at the Czong Institute for Contemporary Art in South Korea. The exhibition runs from October 14th until November 20th. Future Landscapes, an exhibition in conjunction with the Borders Festival in Venice, Italy is also now on view, until November 27th at the Palazzo Ca' Zanardi and the Venice Art House. OMG the Star Wars Episode 9 teaser trailer--all of my Lando dreams are coming true.